Open Access Journals are journals that use a funding model that does not charge readers or their institutions for access. The Open Access Journals and individual open access articles are discovered through the Directory of Open Access Journals. The thousands of journals and articles have been peer-reviewed or met editorial quality control standards to be included in the collection. 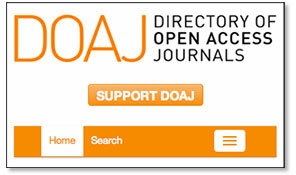 Simply click on a major topic heading and browse through the DOAJ collection of Free Online Journals and Articles.